Ordinary differential equations have long been an important area of study because of their wide application in physics, engineering, biology, chemistry, ecology, and economics. 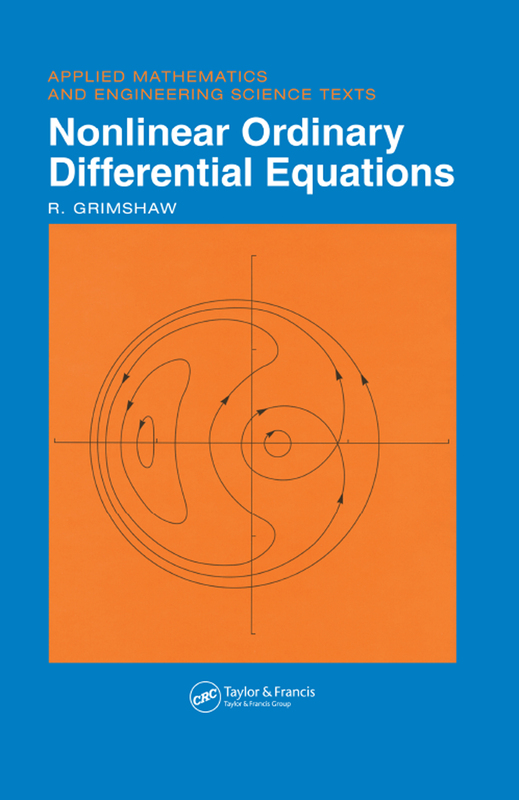 Based on a series of lectures given at the Universities of Melbourne and New South Wales in Australia, Nonlinear Ordinary Differential Equations takes the reader from basic elementary notions to the point where the exciting and fascinating developments in the theory of nonlinear differential equations can be understood and appreciated. Each chapter is self-contained, and includes a selection of problems together with some detailed workings within the main text. Nonlinear Ordinary Differential Equations helps develop an understanding of the subtle and sometimes unexpected properties of nonlinear systems and simultaneously introduces practical analytical techniques to analyze nonlinear phenomena. This excellent book gives a structured, systematic, and rigorous development of the basic theory from elementary concepts to a point where readers can utilize ideas in nonlinear differential equations.